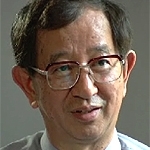 Yuan T Lee was awarded the Nobel Prize in 1986 for contributions concerning the dynamics of chemical elementary process. In this in-depth video discussion he is interviewed by Ed Goldwyn (ex-BBC Horizon producer). Starting with his family background we hear about Lee`s childhood in Taiwan. His father who came from a relatively poor background was an artist who later became famous and his mother (described by Lee as quite revolutionary at the time) was a teacher. The interview continues to give details about Lee`s research history and the work for which he obtained the Nobel Prize in Chemistry. Finally Lee discusses politics and Taiwan.